Find baskets, canned jams and jellies, home décor, pottery, quilts, and more at this event that focuses exclusively on handmade crafts. Booth rental fees go to the Backpack Project, an initiative that gives food to hungry children in Haywood County. >> Canton Armory, 71 Penland St.; Saturday, 9 a.m.-4 p.m. 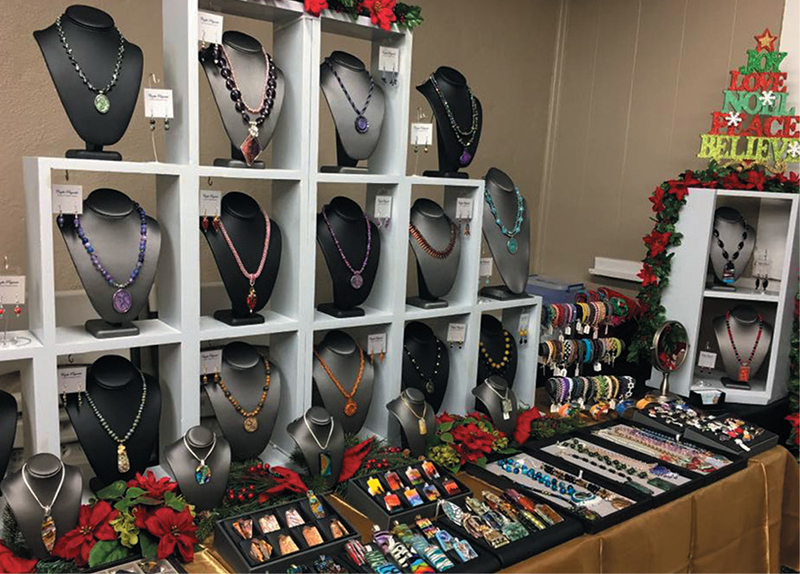 Downtown Dillsboro is resplendent with more than 2000 Christmas lights, and downtown businesses will stay open late and offer complimentary refreshments as you browse handmade crafts, specialty Christmas items, and clothing. Singers and musicians will be performing as well. Parking is free and shuttle service is provided. >> 52 Front St.; Friday & Saturday, 5-9 p.m.